"It’s not my memory of it" mobilizes specific historical records as memories which flash up in a moment of danger, in order to raise questions about notions of disappearance and the tenuousness of historical fact in the current climate of terror. A dynamic of knowing and not knowing-central to practices of secrecy, memory, and documentation. » The work of The Speculative Archive focuses on the production of documents, their collection, circulation and reception, and their socio-political effects. The Archive is a collaborative project of Julia Meltzer and David Thorne. Through a consideration of the documentary processes operative across bureaucratic, political, mnemonic, secret, and public spaces, our work poses a range of questions about knowledge and power. While we recognize a certain value in instrumentalizing information in order to foreground power dynamics and their constitutive conditions, we are working to develop formal and conceptual strategies that challenge and expand our notions of "information," "history," and "evidence" in order to engage different approaches to the possibility of changing these dynamics and conditions. We do not consider our work an exercise in clarifying the past, but an historical practice of complicating the present. We employ the word "speculative" in our project name, and as a qualifier for the documents produced by the Archive, in order to foreground the temporal complexities of archival and documentary practices. We put forward documents as possible extensions of a specific body of source materials in order to explore the conditions of possibility of both, and to generate ways of looking and thinking which raise questions about the politicized production, circulation, and reception of information. Our "Archive" is conceived not as a physical site in which a kind of static retention occurs or in which an historical truth is fixed, but rather as a set of socio-political and cultural practices in which documents, objects, and memories of documents and objects are taken up in ongoing processes of interpretation. The 2008 film The Dud Effect by Lithuanian artist Deimantas Narkevicius (b. 1964) is a “reenactment” of something that has never happened but was planned and prepared to the smallest detail: the launch of a nuclear rocket from the Soviet Union. 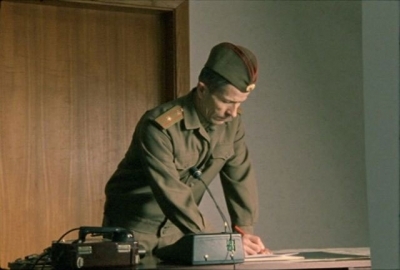 The artist shot the frightfully precise scene at the original location according to the memories of an ex-Soviet soldier who used to serve at a now-closed nuc-lear rocket base in Lithuania and still knows by heart the protocol of launching such a rocket. That Cold War might have ended but does not this only mean that the “enemy” changed name? 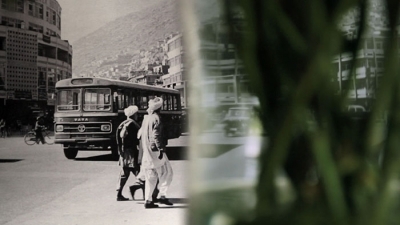 Tea is an essay film documenting an artistic gesture surrounding Alighiero Boetti’s One Hotel in Kabul, Afghanistan. What does it mean to return to a place while visiting it for the first time? How a guest can become a host due to a years-late arrival? How far, really, is Afghanistan from Mexico? 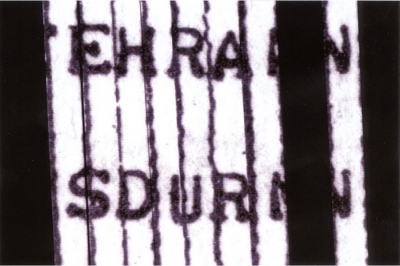 These questions, as they pertain to the relationship between Boetti and Mario Garcia Torres, are considered in the film.